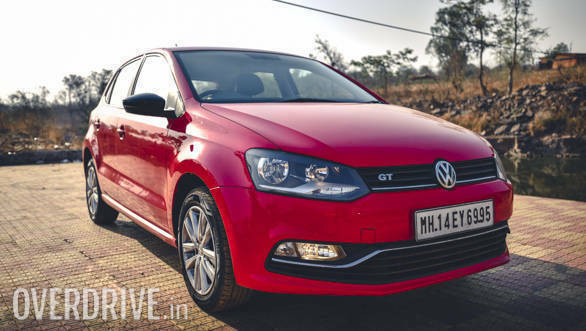 Volkswagen is now offering an add-on warranty for existing owners of its cars in India. Under this offer, the Volkswagen customers can purchase a warranty on select cars up to seven years old or up to 1.25 lakh km total mileage. With this warranty, Volkswagen aims to help protect those customers from unexpected repairs whose cars have already gone beyond warranty. Customers who have an existing extended warranty can also purchase an add-on warranty for an additional year or 20,000km. Volkswagen India will also offer special benefits under its Rejuvenation campaign and Service Value package, on all its 121 dealerships across 104 cities from September 1 to 15, 2018. The offer is applicable to the Volkswagen Polo, Volkswagen Vento, Volkswagen Tiguan and Volkswagen Passat. With the aim of achieving a three per cent market share over the next five years, Volkswagen, Europe's leading car manufacturer is working continuously towards strengthening and providing the best of Volkswagen to Indian customers. In a bid to further enhance its customer-centric initiatives, the Brand has launched an add-on extended warranty option and a post-monsoon car enrichment and rejuvenation service across its car lines. The Add-On warranty has been introduced to protect customers whose cars are beyond warranty from any unexpected repairs. Alternately, customers with an existing extended warranty also have the opportunity to buy Add-On warranty for 1 year/20,000km whichever is earlier. Maximum limit of availing Add-On warranty is up to seven years or 1,25,000 km, whichever is earlier. Further, with torrential rains being witnessed in most parts of India, the post-monsoon car enrichment and rejuvenation package allows customers to refresh and correct minor damages that may have occurred while driving through the monsoon season. Customers buying the service Value package can also avail a complimentary 3M Interior Enrichment Treatment and special benefits on 3M Car Care products. Both the Add-on warranty and Service Value Package have been created to provide existing and potential customers with peace-of-mind and a seamless after-sales service experience. Commenting on the special initiative, Steffen Knapp, Director, Volkswagen Passenger Cars said, "At Volkswagen, offering our customers world-class services has been our constant effort. With the add-on warranty option and service value package, we are further enhancing our after-sales benefits, giving customers an ease-of-ownership, superior build quality, safety and increased product lifecycle for a fun-to-drive Volkswagen experience." Special benefits on service value packages will be available from 1st to 15th September 2018 across the extensive network of 121 Volkswagen dealerships in 104 cities in India.